It may not always be obvious to determine what type of documents must be controlled and what type of documents can remain uncontrolled. However, let’s start by defining what is a controlled document? Simplistically, a controlled document is a document that must undergo formal review, formal approval, controlled distribution, controlled modification and controlled storage and access. 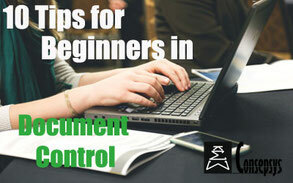 Or, in other words, a controlled document is a document that goes through Document Control processes. So, how does one determine if a type of document must be controlled? Normally, all documents must be controlled. However, if your entity does not have the resources to manage all documents as controlled, the below figure maps out the minimum types of documents that must be controlled. The classification of documents as ‘controlled’ must be a discussion between Document Control and Management. 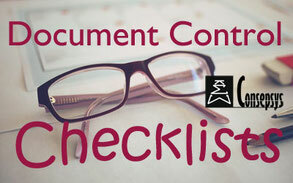 Document Controllers have the moral responsibility to highlight to their management that a certain type of document must be classified as ‘controlled’ – if it is not already. Document Controllers protect the interests of the entity wherein they work by managing controlled documents through a set of controlled processes and practices. 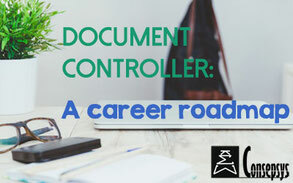 This role comes with great responsibility and a need for pro-activeness on the part of Document Control professionals. Thanks for the continued information have agreed with your comments to date and trying to elevate D C as a profession is one of my highest priorities hope that with you permission i am able to paraphrase and use some of this gold.